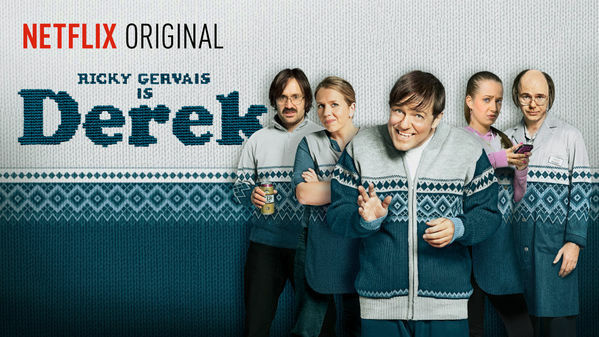 The second season of Ricky Gervais comedy/drama Derek is now available on Netflix as a Netflix original. While it debuted in the UK on Channel 4, it’s considered a Netflix Original in other countries like the U.S.
Ricky Gervais, creator of the original British version of “The Office,” produces and stars in this heartwarming show as Derek Noakes, a loyal English nursing home caretaker who sees only the good in everyone. Derek’s sunny outlook comes in handy with his quirky coworkers and friends as they struggle against prejudice, government bureaucracy, and constantly shrinking budgets to care for the elderly residents who depend on them.